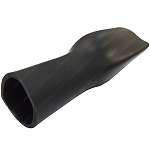 Viton heat shrink is generally used in military and commercial aircraft applications, as it exhibits superior resistance to aggressive solvents such as fuels, lubricants, acids, and other highly corrosive fluids. 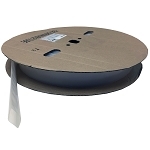 Viton shrink tubing will remain flexible whether used at a low or high temperature, and will also offer protection from cuts and abrasion caused by impact or movement. *Custom cut lengths and sizes are non-refundable and non-returnable. 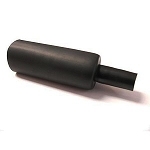 Available in black, in diameters from 1/8" to 2"